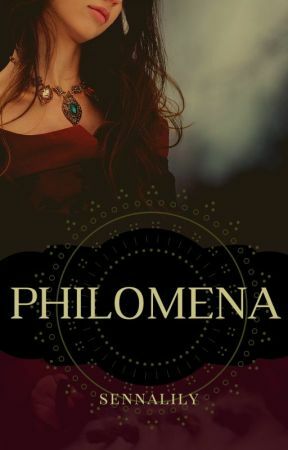 "Lady Philomena," said Cassius. "I&apos;m glad you came." "Of course," said Philomena, going to the bed. Rainhart nodded to Cassius, who said, "Well fought, Prince Rainhart." From the depths of his exhausted brain, Rainhart dredged a response: "Well won by my king." "And ah..." There was something else he ought to say. "With sterling support from your legionaries." 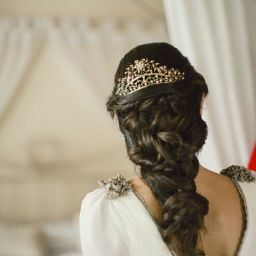 A shadow of amusement flashed across Cassius&apos; face, and for a moment it was as if it were Lord Valentin standing there. "We try our humble best," said Cassius. "The Blessed few are calling for him. It won&apos;t be long now. I..." Cassius grimaced. "Lady Philomena, I thought you might be able to assist." Philomena was sitting on a stool by the bed. She looked up. "I? How?" "I have removed Cervin&apos;s darkwood cuff." He raised his hands as both Rainhart and Philomena fixed him with sharp looks. "I ask no questions. Each man&apos;s relationship with his gods is his own business. But a dear friend of mine is dying in a great deal of pain. Anything you could do..."
"I can help," said Philomena. She closed her eyes and took a long breath. Rainhart ducked to the other side of the screen that had been erected around Cervin&apos;s bed and brought in another stool. He sat down opposite Philomena and studied the dying man. Cervin was pale and his skin was clammy. The bedding was pushed down below his waist, which was wrapped in a heavy white bandage. His chest rose and fell quickly with shallow breaths, and his skin was the colour of bleached linens. "It&apos;s a mercy really," said Cassius. "If the bleeding had stopped sooner, it would have condemned him to a slow death from infection." Philomena&apos;s eyes flicked open and she looked for a moment at Rainhart. Was that what they were condemning Holle to? As Rainhart watched, the crease smoothed from Cervin&apos;s brow and his breathing slowed a little. His eyes struggled open and he turned his head from one side to the other. "Where..."
Cassius hurried forward. "What is it, Cervin? You&apos;re among friends." Cervin tried to lift his right hand from the bed, but he was too weak. Rainhart could see Cervin&apos;s tongue pressing against the back of his top teeth. Trying to form the letter D.
"Lord Cassius removed the cuff," he said. Rolling his eyes towards Rainhart, Cervin breathed, "No." "I can help you," said Philomena. Frowning, Rainhart slipped into the still place and found Cervin&apos;s mind. Like his breaths, Cervin&apos;s mind had a feeling of shallowness to it. His thoughts were confused, racing in several directions at once, woven together by a red thread of pain. And a thought that seemed to appear more than the others: Dangerous. And then it was gone, and Rainhart a flash of a memory of children playing in a forest. "Why is it dangerous?" he said aloud. But the thought was gone. There was Lord Valentin asking, What is your name? and Who do you serve? Memories scattered through the darkness: some peaceful and green-lit, others harsh and bloody, stained with death and smeared with grave dirt. Cervin&apos;s attention was drawn back to Philomena. Superimposed over the infirmary tent, Rainhart saw Cervin&apos;s memory of a waif with black hair tucked into a white cap, putting her chin up and saying, Argo is my responsibility now. Just like Luca. Then that thought again: Dangerous.